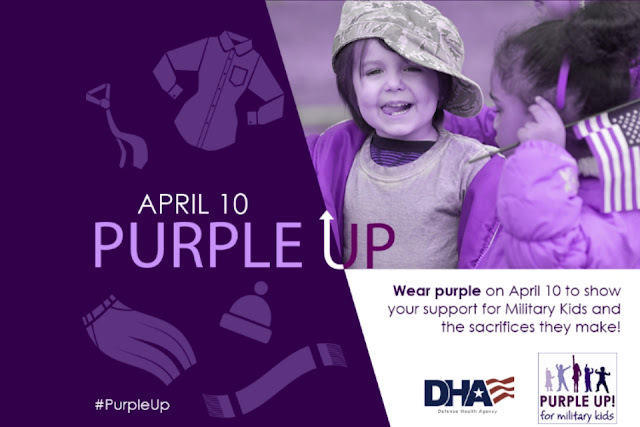 On April 10, join DoD and your local and military communities in the “Purple Up” campaign by wearing purple to show your support for milkids everywhere. Why purple? When you combine the different branch colors—Air Force blue, Army green, Coast Guard blue, Marine red, and Navy blue—you’ll end up with purple and solid support for all milkids. Every day, military families do what it takes to support their Warfighters and keep going strong as a unit. Kids who grow up in military families have to face and overcome challenges that not all kids do. Still, the challenges of military life promote flexibility, adaptability, and discipline in children. 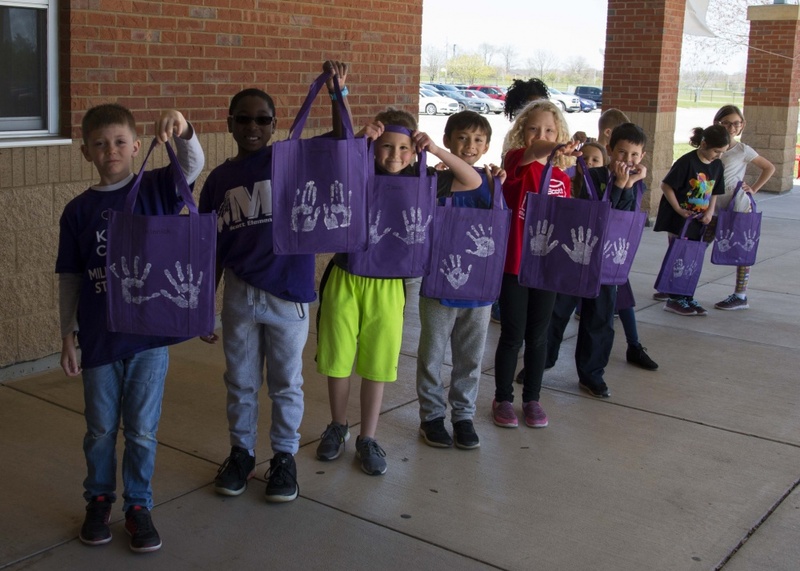 This April, the Month of the Military Child, is your chance to celebrate milkids and honor the sacrifices they sometimes have to make. At HPRC, we want to “P-U-R-P-L-E U-P” and highlight some ways milkids and their families grow stronger and stay resilient. 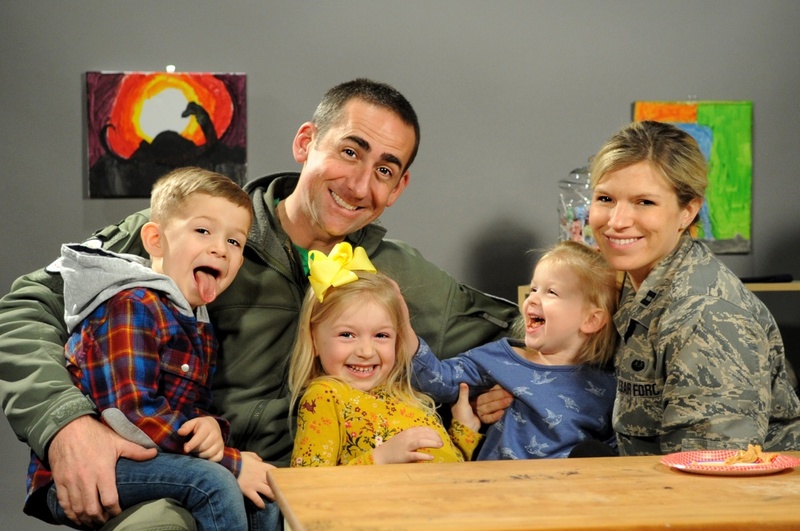 Milkids are proud of their parents’ service and themselves, especially during deployment. It’s important to honor this pride and give kids a chance to identify themselves as milkids within their communities worldwide. Though living the military life can be tough at times, it’s going through the hard times together that builds unity in a family. It’s also a chance for kids to unite with parents and other family members (even through distance), and milkids can grow social-support systems with friends and extended family. Milkids tend to be more resourceful, adaptable, and ready to take on new challenges than civilian children. Any member of a military family has to get used to changing situations and making the best of different circumstances, and these skills extend to kids as well. And as a bonus, these traits can stick with them for life. 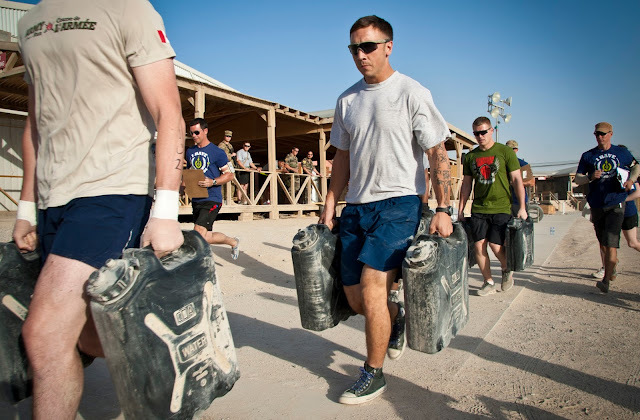 A part of military life, particularly for active-duty families, is changing environments and relocating to new places, sometimes overseas. But those moves also teach children how to meet new people, make new friends, and keep up relationships—even when they’re far apart. Milkids are also more likely to befriend those with differences as they experience life in diverse cultures. When military parents deploy, go off for training, or are TDY, it sometimes means that milkids have to step up to the plate. So, kids in military families are great leaders because they have more opportunities to be responsible and independent. At the same time, they’re also exposed to important military values such as teamwork and loyalty, the combination of which makes for strong leaders. It can be easy to forget that active-duty and Reserve military families are everywhere. 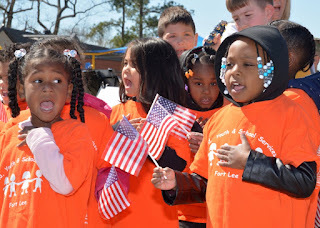 DoD estimates there are over 1.7 million milkids, most attending public schools and living in civilian communities. Remember to ask about their experiences, listen to their stories, and support them. While milkids have many strengths, they also face some unique challenges that civilian children don’t. For example, they might cope with frequent moves, deployments, or other extended separations. They sometimes worry about their parents’ safety too. 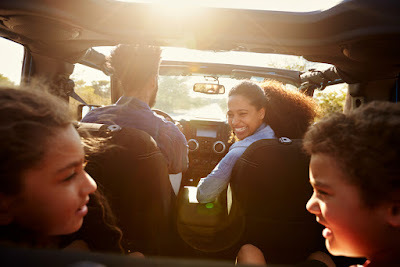 But those unique experiences also provide an opportunity for family unity, personal growth and maturity, and a one-of-a-kind life story. 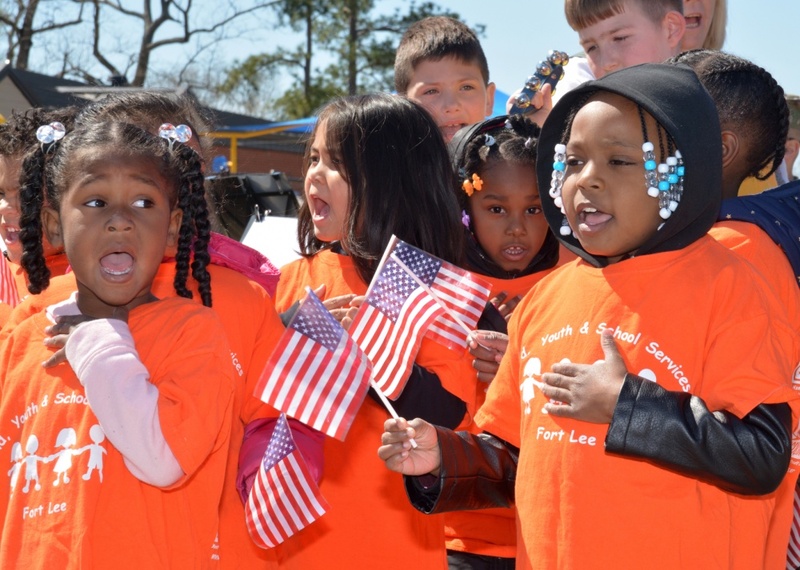 With parents in the military, it’s not uncommon for children to be patriotic and appreciate the country their family serves. It helps to define their family story, create a sense of unity, and widen their worldview too. Sarah Steward, of the Henry M. Jackson Foundation, is an Education Specialist for the Consortium for Health and Military Performance (CHAMP) at the Uniformed Services University of the Health Sciences. * The views expressed are those of the author and do not reflect the official position of the Uniformed Services University of the Health Sciences or the United States Department of Defense. Prepping for your next PCS? Get ahead of the chaos with these tips. Purge your stuff. Are there boxes you never unpacked after your last PCS? Now’s the time to decide what’s worth bringing to your next duty station. Consider unloading unused stuff by donating it to other military families or thrift stores nearby. Color code your rooms and packing boxes. 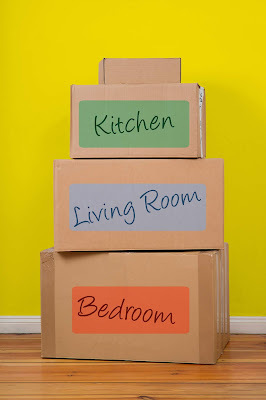 Pick one color for each room (for example, green for the kitchen and yellow for the master bedroom) and apply colored stickers to each box to ease unpacking upon arrival. Instead of trying to read what’s on the boxes, save time by sending them to their “assigned color” rooms. Pro tip: Set a “do not pack” area in your home—for instance, a closet or bathroom—before the movers arrive. Use the space to temporarily store things you’ll need for quick access such as your wallet or purse, smartphone, car keys, and important papers. Smartly pack unpacking supplies and things you’ll need in an empty house. Keep a pair of scissors, a box cutter, and plenty of trash bags with you while traveling, so you have access to these things upon arrival. Also, pack toilet paper, hand soap, paper towels, hand towels, and a toolbox to help make your new home livable right away. Use plastic baggies for small stuff. Store pencils, small toys, buttons, and jewelry in baggies to make unpacking these things a breeze. Pro tip: Use baggies to store screws and bolts for furniture. Tape them to the furniture, or label the baggies and then put them in one box you carry with you. Empty all trash cans before the movers arrive. Movers are known to pack full trash cans or diaper pails, so empty all trash and recycling bins to avoid a stinky unpacking experience. Wrap it up! Protect belongings by wrapping them in plastic wrap, bags, or newspaper. For example, keep bedsheets dust-free by storing them in plastic bags. And place forks, knives, etc., inside a flatware holder, and cover it with plastic wrap. Pro tip: You’ll likely need towels, sheets, and a shower curtain when you arrive at your new home, especially if you get there before your boxes. Wrap or bag these things and carry them with you. Tighten loose lids. Full soap dispensers can lead to a soapy mess upon arrival. So, empty soap dispensers, tape down lids, or securely wrap containers with food or other items to prevent spills during travel. Be flexible on long drives. Especially if you have young kids, try to plan a few pit stops along the way. Then, check how everyone’s doing “in the moment” and decide when it’s time for a break—or if you can drive longer and cover more miles. Scout around for free Wi-Fi. Look for free Wi-Fi at restaurants, coffee shops, and rest stops to help plan the next leg of your road trip. If you have a pet, check useful resources or online to find pet-friendly hotels along your route. Keep swimsuit(s) handy! If you’re staying in hotels, head to the pool to get kids’ energy out and enable everyone to relax a bit. 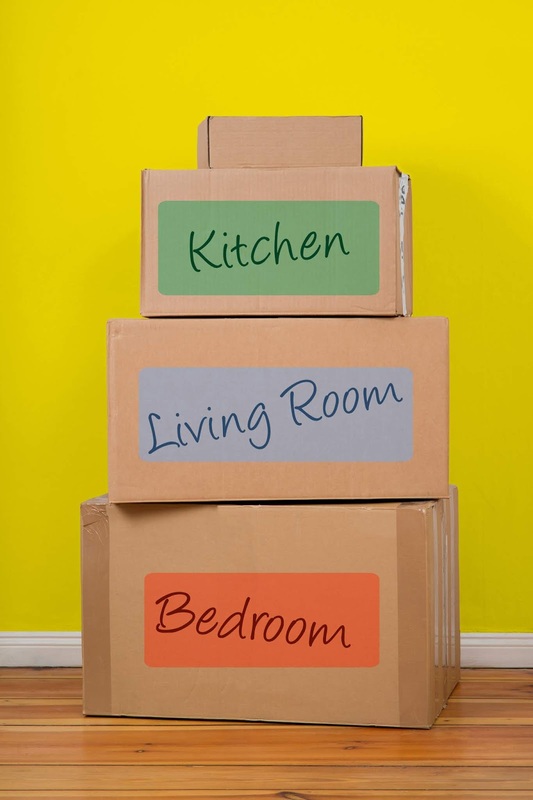 Visit HPRC’s website for more packing and travel tips to help make your move a smooth one! Lauren Messina, of the Henry M. Jackson Foundation, is a Senior Scientist for the Consortium for Health and Military Performance (CHAMP) at the Uniformed Services University of the Health Sciences. 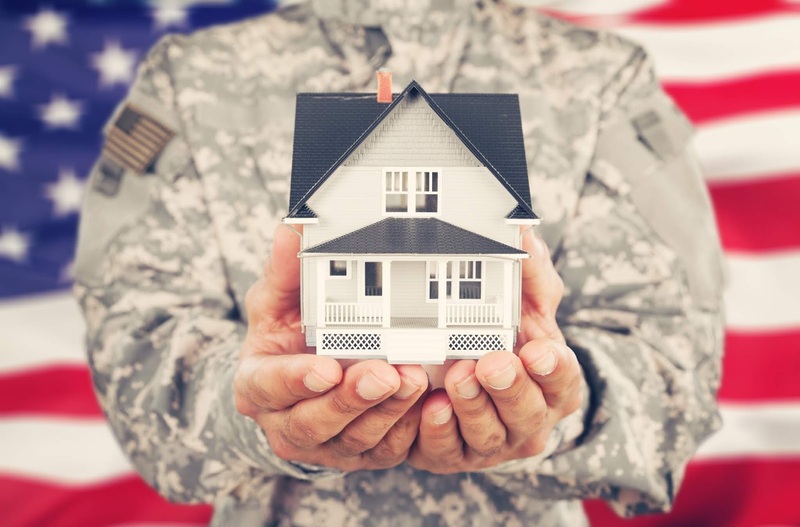 HPRC staff get many Ask the Expert questions from Military Service Members, and the answers often include important information that can help you stay mission-ready, so you can perform well. If I’m going to promote exercise to my diabetic patients, how often and for how long should I tell them to work out? Diabetics can exercise following the Department of Health and Human Services recommendation of 150 minutes of moderate-intensity physical activity—about 30 minutes 5 times—per week. In general, exercise helps reduce the risk for type 2 diabetes in healthy people and control blood sugar levels in patients with type 2 diabetes. Exercise also can increase insulin sensitivity in type 1 diabetics and decrease insulin resistance in type 2 diabetics, (in both cases) helping control blood sugar. It’s especially important for diabetics to maintain adequate blood sugar levels during exercise. 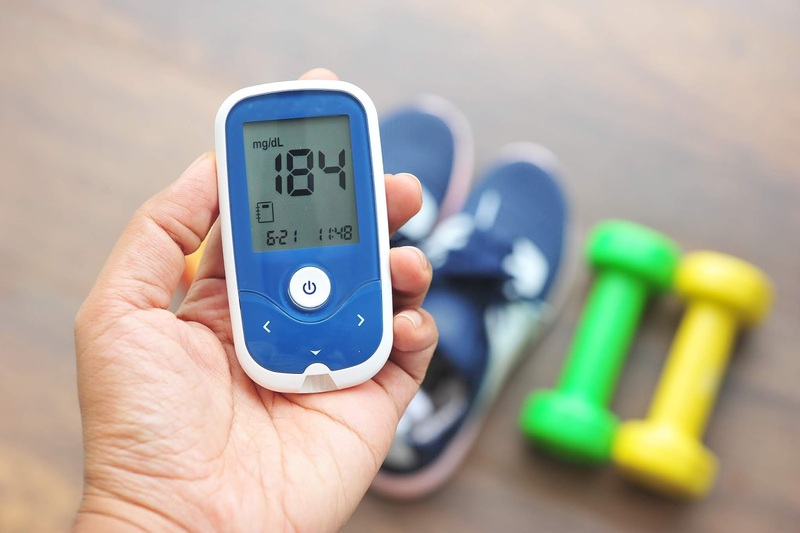 Since type 2 diabetes is characterized by insulin resistance leading to high blood sugar, it might be a little easier for type 2 diabetics to maintain blood sugar levels during exercise than their insulin-dependent type 1 counterparts. Learn about the hormonal response to exercise and some tips for eating to maintain adequate blood sugar. The body’s hormonal response to exercise can vary based on the type (aerobic vs. resistance training), duration (short, medium, or long), and effort (moderate vs. intense). Aerobic exercise, such as distance running, can actually lead to blood sugar uptake by the muscles without insulin. In a normal person, the body can generate glucose to maintain blood sugar levels. Type 1 diabetics don’t have this ability because their insulin levels are determined by the amount they take in via injection or pump. In type 1 diabetics, aerobic activity can lead to hypoglycemia, so it’s important to take precautions. Have a sugar source available to maintain blood sugar levels during aerobic training. Type 1 diabetics should plan exercise around meals and insulin injections to prevent eating and injecting to maintain normal blood sugar, and then burning through the sugar quickly because the exercise and insulin act together at the same time. Regularly monitor blood sugar during exercise to help track levels and prevent hypoglycemia. Exercise-induced nighttime hypoglycemia, or when blood sugar levels fall dangerously low overnight, is a risk for type 1 diabetics too. Still, there are things patients can do to reduce their risk. Wake up every few hours to conduct overnight glucose checks. Or perform continuous glucose monitoring with alarms. In type 2 diabetics, where blood sugar is characteristically high, aerobic exercise can help bring levels down and promote stability by increasing insulin sensitivity. This increase in sensitivity will allow the body to take up blood sugar to use for energy, overall acting to reduce total blood sugar levels. However, it’s crucial to monitor sugar levels to ensure they don’t get too low. Intense exercise, such as high-intensity interval or circuit training, and resistance training (that is, weight training) can lead to the opposite blood sugar response in type 1 diabetics compared to aerobic exercise. It leads to an increase in blood sugar to provide the necessary energy to the muscles, but the specific hormones that control this blood sugar increase can take a while to go back down to normal levels. Perform resistance or intense exercise before aerobic exercise to help keep blood sugar levels stable. As a precaution, have a source of insulin readily available while performing intense exercise. Normal fasting blood sugar levels are 60 to 100 mg/dL (3.3 to 5.5 mmol/L), but blood sugar can go up to 140 mg/dL after eating. Some experts recommend achieving a blood sugar level of about 120 mg/dL before aerobic activity, so that when the level does go down due to exercise, it’s still within the normal range and gives a buffer before blood sugar gets dangerously low. Foods with a high glycemic index, such as glucose and fructose, are fast acting and can be used in times of hypoglycemia. However, if a diabetic is severely low and at risk of diabetic coma, an intramuscular glucagon injection is recommended. Simple carbohydrates (honey, juice, crackers, etc.) can be used to bring low blood sugar levels up quickly, although this isn’t recommended as a general method to maintain adequate blood sugar in type 1 diabetics. Foods with a low glycemic load—such as whole grains, beans, and vegetables—are more slow acting. Before aerobic exercise, type 1 diabetics should eat foods with a glycemic load lower than that of simple carbohydrates to sustain blood sugar longer and avoid a quick spike from a simple sugar that will go away quickly. Both type 1 and type 2 diabetics should carry an emergency treatment kit with them while exercising. The kit should contain a glucometer and test strips to measure blood sugar, a source of fast-acting carbohydrates (for example, simple sugar packets, juice, or a sports drink) and/or glucagon injection kit, a source of insulin, and relevant emergency medical information and contacts. For those who don’t exercise regularly, it’s important to ease into a routine, and not immediately ramp up to 150 minutes of activity. This will reduce the risk of developing overuse injuries and allow for a more gradual adjustment to eating and insulin bolus scheduling to prevent blood sugar levels from getting either too low or too high due to exercise. Specific precautions for exercise will vary for patients based on their own personal medical histories. For example, for diabetics who have had a heart attack or stroke, exercise should initially be supervised in a cardiac rehabilitation program, and progress in intensity as they’re able to. Those with a peripheral neuropathy or foot ulcers should take care to keep their feet clean and dry, consider limiting weight-bearing activities such as jogging, and substitute for other types of aerobic exercise. Before starting an exercise program, diabetics should be cleared by a physician because certain conditions will limit particular types of exercise that can be performed. Visit the American Diabetes Association website for more resources, including a position statement about exercise and diabetes. To learn more about nutrition during exercise or ask an HPRC expert about other issues that affect performance, visit the HPRC website. Tim Gribbin, of the Henry M. Jackson Foundation, is a Senior Scientist for the Consortium for Health and Military Performance (CHAMP) at the Uniformed Services University of the Health Sciences.